Barbara Euphan Todd was born at Arksey, then in the West Riding of Yorkshire, England, the only child of a clergyman and his wife. She was educated at St. Catherine's, a boarding school in Bramley, near Guildford in Surrey. She worked as a volunteer military nurse for the VAD (Voluntary Aid Detachment) during the World War I. After her father's retirement, she lived with her parents in Surrey and began writing. She contributed stories to magazines such as Punch and The Spectator, and wrote a volume of poems for children, Hither and Thither (1927). 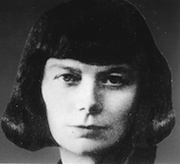 In 1932, she married Commander John Graham Bower, an officer in the Royal Navy, and began writing novels for children, some of them in collaboration with her husband. She wrote more than 30 books altogether, and her most popular works were 10 novels about Worzel Gummidge, a scarecrow who comes to life, beginning with Worzel Gummidge, or The Scarecrow of Scatterbrook (1936) and concluding with Detective Worzel Gummidge (1963). In the 1950s, she adapted some of her Worzel Gummidge stories as radio plays for children. A television series, Worzel Gummidge Turns Detective, was made in 1953. Her only novel for adults was Miss Ranskill Comes Home (1946). Barbara Euphan Todd is currently considered a "single author." If one or more works are by a distinct, homonymous authors, go ahead and split the author. Barbara Euphan Todd is composed of 11 names. You can examine and separate out names.